Easy to install hardware. Intuitive software. An accessible API. Eniscope is the complete, end-to-end solution for energy management. Perfect for single buildings or whole portfolios. Watch this video to get a feel for the world’s most complete energy management system. We cover the key features and how the power of Big Data and the Internet of Things (IoT) help Eniscope to transform the energy profiles of facilities around the world. This product is relied upon by companies such as Telefonica, 7-Eleven, IBM, KFC, CBRE and many more. Here’s why! Eniscope is a lightweight and compact, plug-and-play system. Typically taking three hours to install on-site, with minimal disruption to your workflow, our hardware is easy to integrate and offers a perfect safety record. At the core of our system, we offer 8 three-phase metering points per Eniscope hub, with physical connectivity for pulse and temperature inputs, as well as wireless connectivity to IoT devices and sensors. That level of connectivity means we can seamlessly connect to incumbent meters and, with our API, we can integrate easily with your BMS or CAFM solution too. Our own standalone wireless IoT sensors include temperature, occupancy, gas, water and much more – to make sure your data is always placed in context. Eniscope is easy and quick to install, versatile, pinpoint accurate and – for many FMs and property managers around the world – indispensable. View your data anywhere in real-time using Eniscope Analytics. 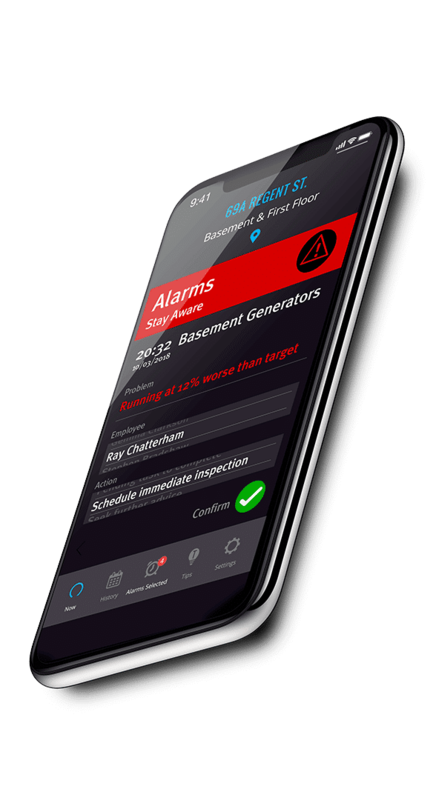 Access our cloud-system to easily manipulate data and take advantage of intelligent alarms to inform your actions on site. With one intuitive analytics platform, you don’t have to live with disparate, scattered information sources anymore. Eniscope does it all and reports to you in an intuitive, simple way. Our platform is built for scaling and can handle hundreds of buildings at once – all processed and reported on in real-time within a single platform that you can access on the move, including via our mobile app. And with our new range of wireless control modules you can now influence what happens at your facilities remotely. Notice a building with no occupancy but lights on? No problem – just switch them off! Hit the button below to download the full digital product brochure or read on for some cast-iron case studies. "In 2015 we were introduced to the Eniscope system. It gave us the opportunity to monitor our energy consumption in a whole different way. I’ve never seen a system like it and I would recommend the Eniscope system to other companies – I’ve already recommended it internally to all seven of our countries." 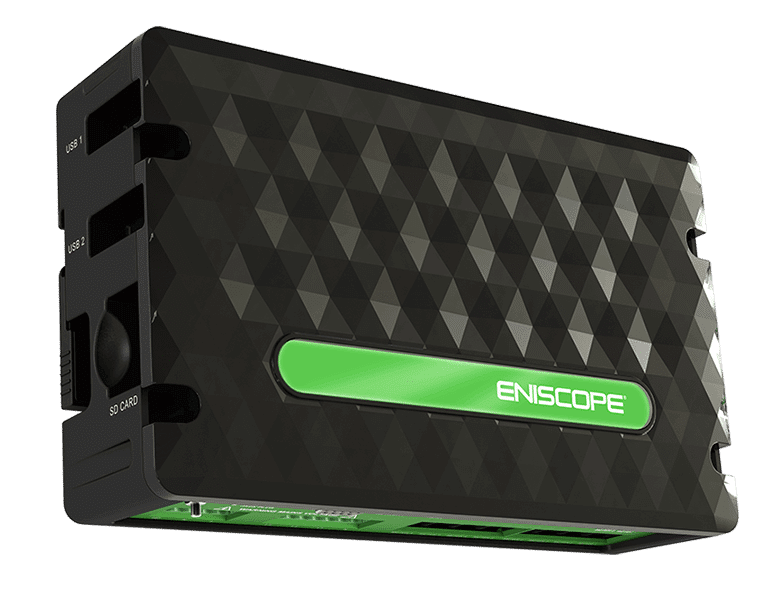 "Having had experience with a wide range of hardware solutions in the past, I can say with confidence that Eniscope is the most innovative. The advances already made in designing a small, powerful and very easy to install product puts you at the forefront of the market." Show off your performance in real time to staff, tenants and other stakeholders with bespoke-designed displays displays. Our displays allow you to create awareness and modify behaviour by clearly, visually communicating key performance metrics, targets and progress. It’s an excellent way of demonstrating your commitment to energy conservation. These displays can be strategically positioned around a building to provide a crucial incentive to change their behaviour. We can integrate leader boards and competitive aspects, to give stakeholders that extra push to make a difference (to your carbon footprint and your bills!). Explore the functionality of our holistic solution to energy monitoring and management. Our end-to-end solution. For one building, or thousands. We walk you through input to output and through the processes in the cloud. Display, report, target and save. …to a global problem. Businesses all over the world know that it’s time to find an energy solution. Start your journey by filling in a few details below and downloading your free brochure. *We won’t pass your details on to third parties and promise we won’t send you spam. Want to know more about us and how we can help businesses like yours? There are a huge number of ways you can get in touch. We’re happy to answer any questions you may have over the phone, via email or over live chat.